The X-Men: Not just a job - a heritage! Xi'an Chi Xan wants Meanstreak, Krystalin, Skullfire, and the rest to help rebuild Professor X's dream, but lies, betrayal, and assassination may tear them down before they've started! 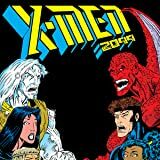 With the gods of the Aesir and demons from the Theatre of Pain against them, can the mutants of the future carve a future for mutants? 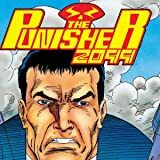 Guest-starring Spider-Man 2099, Punisher 2099, and more! The X-Men: Not just a job - a heritage! Xi'an Chi Xan wants Meanstreak, Krystalin, Skullfire, and the rest to help rebuild Professor X's dream, but lies, betrayal, and assassination may tear them down before they've started! 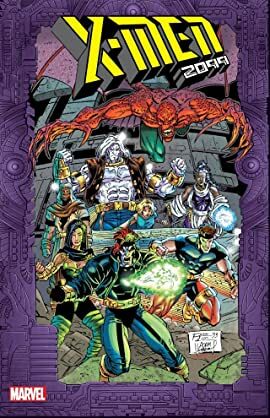 With the gods of the Aesir and demons from the Theatre of Pain against them, can the mutants of the future carve a future for mutants? THE FALL OF THE HAMMER PART 2 The X-Men of 2099 pay Ravage a visit. What will lead the X-Men to the hallowed halls of Valhalla? And will they uncover the truth about missing scientist Jordan Boone? 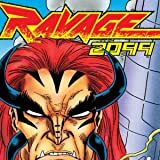 Ravage may have the answer to this question and more! THE FALL OF THE HAMMER PART 5 One for all? Will Jake Gallows, Punisher 2099, play nice with his new teammates? The Fall of the Hammer event continues as Punisher, along with 2099’s X-Men, Spider-Man, and Doom, save Asgard from Alechemax! 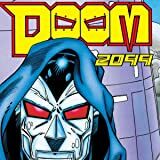 THE FALL OF THE HAMMER PART 4 Doom 2099 must unite with 2099’s X-Men, Punisher, Spider-Man, and Ravage, to take down villains posing as Asgardian gods. Will this be a battle worthy of Valhalla? And do these imposters have the divine powers they claim to possess?